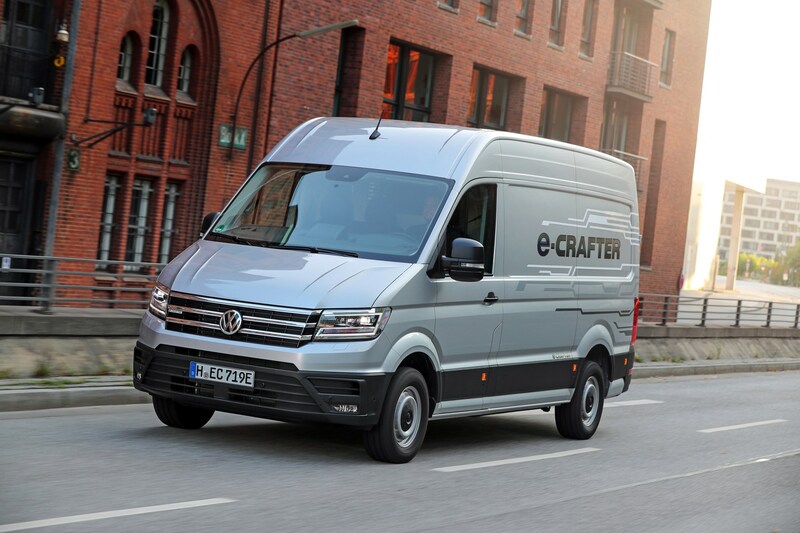 Large electric vans are set to be the next area growth for commercial vehicle manufacturers, with this production-ready Volkswagen e-Crafter following hot on the heels of the prototype Mercedes-Benz eSprinter we drove in July 2018. Similar in size and range to its Mercedes rival, VW’s electric Crafter will reach the market before it – orders are being taken now in Germany with a launch price of €69,500 – around £63,000. Prices for right-hand drive UK-spec versions have yet to be confirmed, but they’re due to arrive in 2020. However, Volkswagen is considering importing a small number of left-hand drive versions from 2019. What’s the Volkswagen e-Crafter’s range on a single charge? 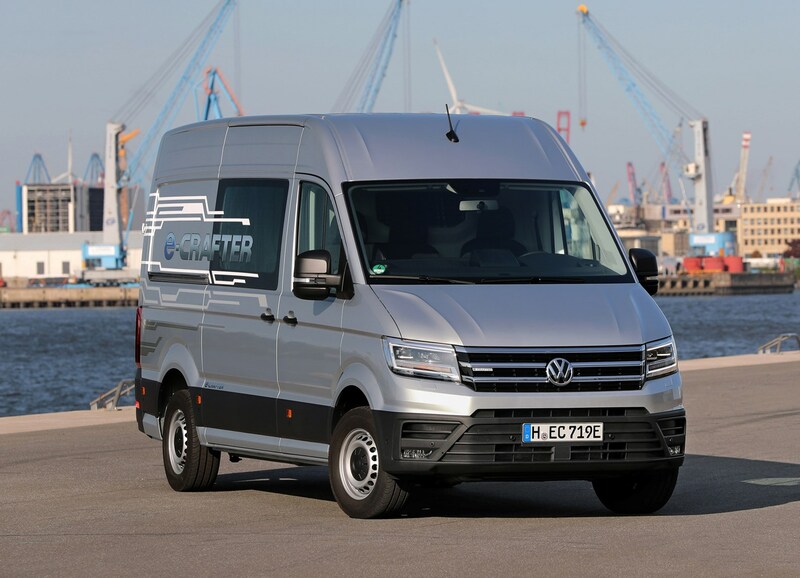 Unlike the two battery capacity versions of the eSprinter, VW will only sell one configuration of the e-Crafter making it a simpler purchase or leasing prospect. 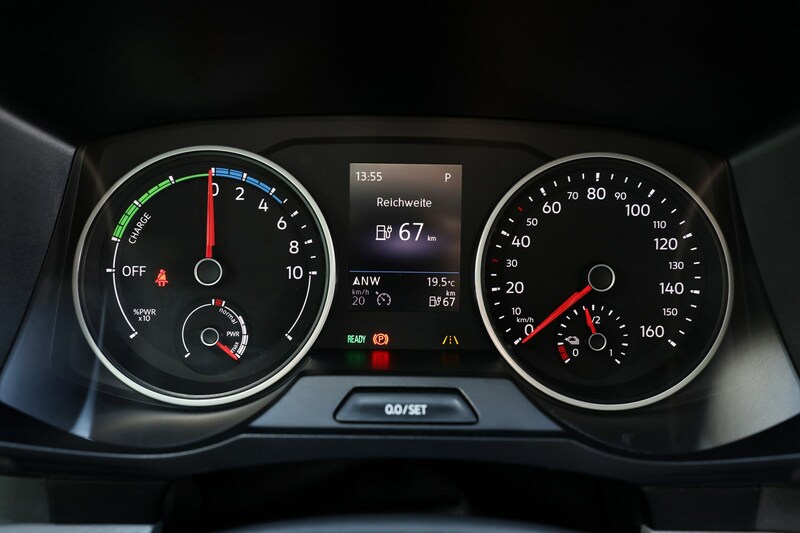 Using the outgoing NEDC method of measuring efficiency, Volkswagen claims an overall range of 107 miles, but acknowledges a real-world figure of 93 miles is more likely. Even a worse-case scenario of a maximum payload weight in the back and sub-zero temperatures outside, should still result in a range of around 60 miles. 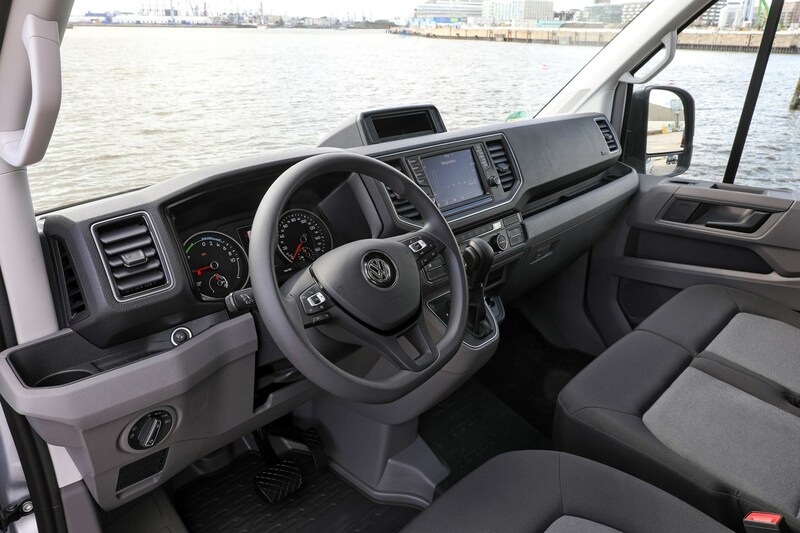 If you’re thinking that doesn’t sound like a lot – and it is considerably less than a conventional diesel-engined Crafter could be driven – VW’s own research, backed-up by that of its rivals, is that typically city-based delivery drivers travel fewer than 60 miles per day. It’s not a niche market, either, with estimates that around a third of all European van journeys fall directly into that category. Unlike Mercedes, with its apps to educate fleet managers about how electric vans could be effectively incorporated into their fleets, VW Commercial Vehicles is behind the curve. The UK operation will be able to advise fleets, but more on a one-to-one level using their existing telematics data. How long does the Volkswagen e-Crafter take to charge? Located under the cargo-bay floor is a 35.8kWh battery pack – smaller than the 55.2kWh one found in the more expensive eSprinters, but offering a similar degree of range potential. Being of a lower capacity means it takes less time to recharge – using a dedicated wallbox will replenish it from 0% to full in around five hours and 20 minutes. More conveniently, a DC rapid charge point will take the e-Crafter back up from flat to 80% in just 45 minutes, a figure that could be designed to tie-in with a driver’s lunch break. Topping up that remaining 20% adds a further half-an-hour. While most e-Crafter operators are likely to simply charge overnight back at the depot, thanks to the sophistication of the battery conditioning – read temperature management – it’s possible to do several rapid recharges per day if needs demanded it. Should you find yourself short of dedicated electric vehicle charge points, the trusty old three-pin plug option is also available, but set yourself 17 hours aside for this. Charging is a simply process, with the socket being located behind what’s usually the fuel filler flap just aft of the front passenger door. What is the Volkswagen e-Crafter’s load capacity? 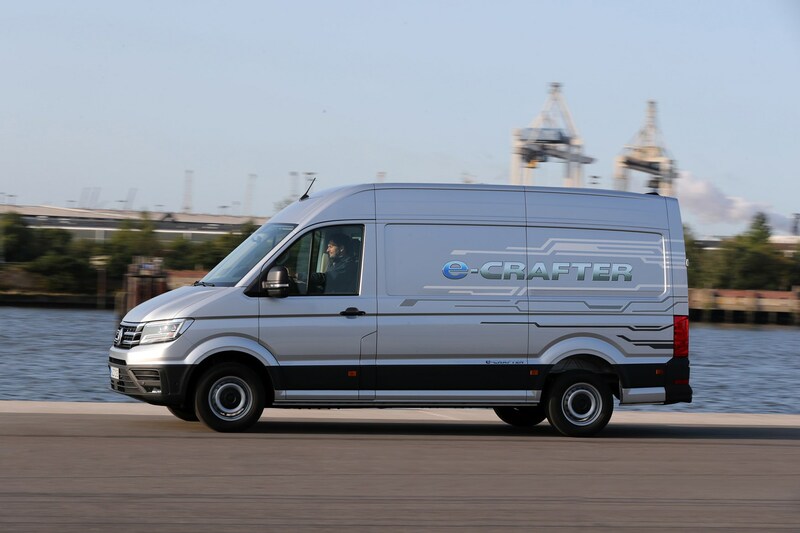 Initially the e-Crafter will only be available in high-roof panel van format, but other configurations such as chassis cabs are technically possible. Based on the 5,986mm-long body, the front-wheel drive e-Crafter has a raised carbo-bay floor, just like diesel-engined rear-wheel drive models. Nevertheless, it promises to be a more useful tool than the eSprinter, based on that model’s provisional figures. VW claims a maximum cargo volume of 10.7 cubic metres compared with 10.5 for the Mercedes, while maximum payload will range from 975kg to 1.72 tonnes, trouncing the eSprinter with figures of between 900kg and 1.04 tonnes. Four Europallets will easily fit in the e-Crafter’s loadbay. 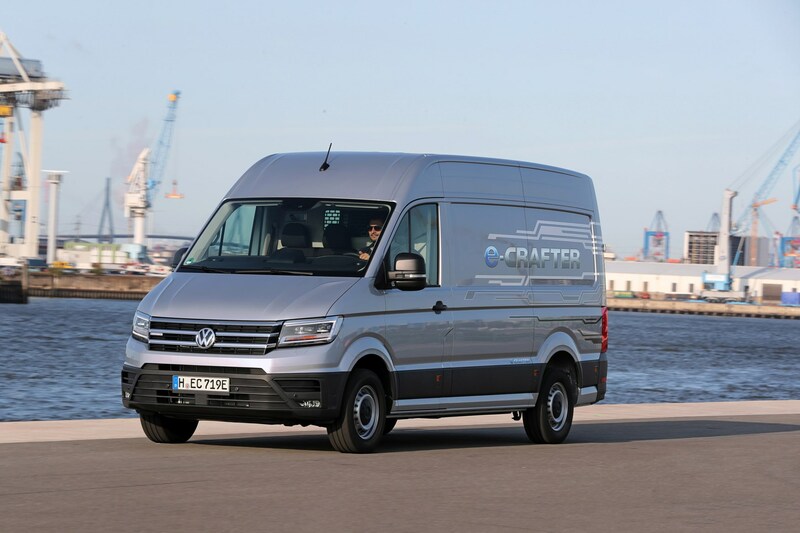 What is the Volkswagen e-Crafter like to drive? 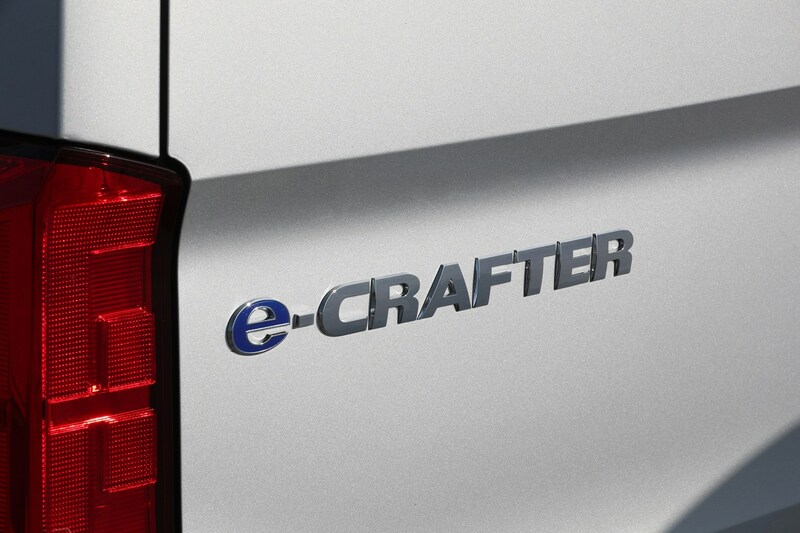 We already rate the ease of which the diesel-engined Crafter can be driven, so it probably won’t be a surprise that piloting an e-Crafter is even more of a doddle, in spite of its enormity. Naturally, it’s much quieter with only a high-pitched whirr being emitted from the smooth-running 136hp electric motor. Thanks to its peak torque of 290Nm being available as soon as you touch the accelerator pedal, its impressively responsive, as well, aided and abetted by the simplicity of a single-speed automatic transmission. In all other respects it feels like the conventionally propelled Crafter, with well-judged control weighting and a comfortable driving position. No acceleration figures have been quoted – but anecdotally it reaches 30mph swiftly – while an electronically governed top speed of 56mph ensures that there’ll be no high-speed jinx to waste the battery pack’s electrical reserves. 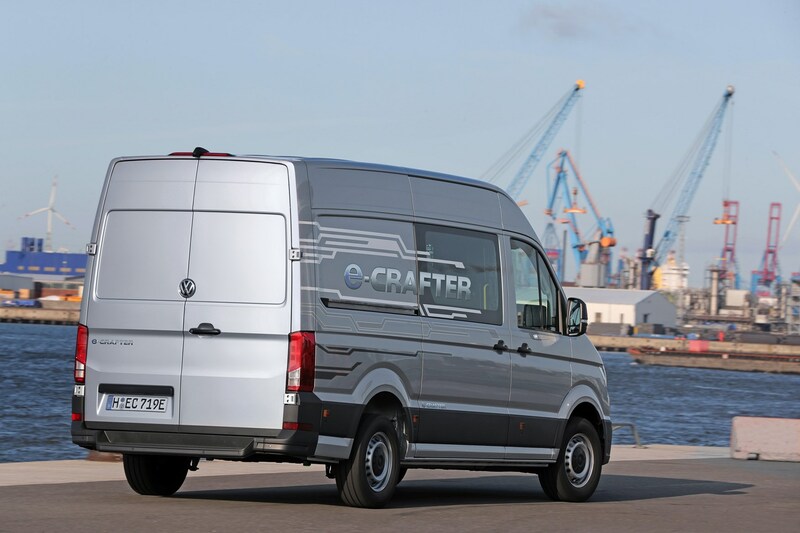 Unlike Mercedes with its eSpinter, VW’s elected not to install varying degrees of brake energy recuperation on the e-Crafter, citing that they’re superfluous in nature in the engineering team’s opinion. In essence this means you can coast along in the Volkswagen not regaining an otherwise wasted braking energy, or you can switch it to what’s effectively a one-pedal mode of driving – lifting off the accelerator will activate the brakes. It sounds rather alien, but in reality you adapt to it quickly and it rapidly becomes second nature. Is there anything else a Volkswagen e-Crafter driver needs to take into account? ‘No’ is the simple answer, although for greater efficiency it makes sense to precondition the cabin to your desired temperature while the e-Crafter’s still on charge so that it doesn’t negatively impact upon the range. Drivers can also reduce the impact of heat loss – that of repeatedly opening the door to make between 50-100 deliveries per day – by using the heated seat and electrically heated windscreen functions on cold days, rather than relying on the climate control system as much. For those who cover their mileage almost exclusively in cities, there’s no doubt that the Volkswagen e-Crafter is a wholly convincing proposition and a welcome addition to the range. That said, there won’t be a definitive word on UK pricing for some time, nor is there any official guidance on total cost of ownership, although one engineer did suggest that most would find it’s a cheaper overall prospect than a diesel-engined Crafter by the end of year three. What might hamper VW’s prospects – at least in the short-term – is that Mercedes is evidently further ahead with its online tools for helping fleet managers and owner-drivers make a genuinely informed decision about whether switching to a fully electric van is a viable proposition. With sales not commencing in earnest until 2020, it still has time to rectify that.